Hiving is an online survey panel that has grown substantially and is now available in over 20 countries worldwide. There are no gift vouchers or prizes at Hiving. For providing your honest opinions you will be rewarded in points that can later be redeemed for cash via Paypal. Hiving is an online survey panel which was launched in 2009 and is based in Paris, France. over the years the panel has grown substantially and is now available in over 20 countries around the world. The online surveys that they conduct at this panel are used to help companies and brands have a much better understanding of their customers. This helps them improve their products and services and has an overall impact on future trends. As a member of the Hiving Panel, you will take surveys on a wide range of different topics related to products and services that you use every day. Examples of some of the topics include Household, Health, Automotive or Hobbies. As well as taking surveys you may also be given the opportunity to test new products before they hit the shelves. There are no gift vouchers or prizes here. For providing your honest opinions you will be rewarded in points that can later be redeemed for cash via Paypal. To get started on the panel simply fill in the short registration form and agree to their terms and conditions. To make this process a little quicker you can sign up with Facebook if you choose. After confirming your email address you can log in to your account and fill in the required profile information. By completing the profilers in full will mean you will receive more paid surveys in the future. When a new survey becomes available you will be sent an email. The email will state how many Hiving Points you will receive for completing it and how long it is likely to take. If you want to proceed then simply click on the link in the email. Alternatively, you can log in to your account at any time to see if there are any surveys in there for you to take. As well as seeing what surveys are available you can log in to your member’s area to take part in polls, check the latest panel news, check your points balance and refer your friends. If any of your friends sign up you will be paid extra points for any surveys that they take as well as your own. Once you have accumulated 4000 points in your account you can convert your points for a £4 cash payment. This low threshold makes it quite quick and easy to get your first payment which is always good. Alternatively, you can save up your points and cash out in multiples of 4000. So the next payment threshold would be 8000 for £8 or 12000 for £12. If you are based outside of the UK then you will be paid in your local currency. After you have put in the request you are paid directly to your Paypal account within 2 – 3 weeks. To be eligible to join you must be aged 15+. Anyone aged 15 – 18 must get their parents/guardians permission. To conclude we would say that Hiving Panel is an excellent survey site to join. 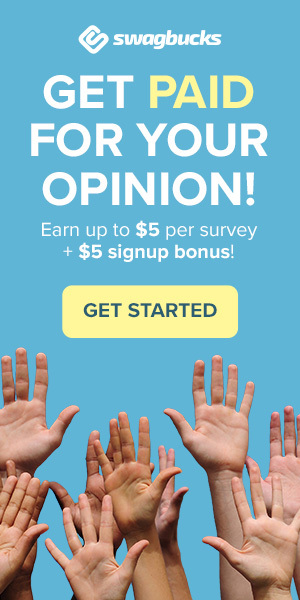 They offer plenty of chances for you to earn some extra money from taking surveys. They do not mess about with gift vouchers or prizes and pay you cash directly to Paypal with an extremely low cash out threshold. Their referral program is also very good as you get paid points when your friends participate on the panel. Hiving was good to start with but it’s become impossible to redeem points or contact them. I redeemed points on 6th December and am still waiting for the cash to be transferred to Paypal. The 400 points threshold in your review is wrong, it’s actually 4,000. I have now emailed Hiving 4 times and am still waiting for a reply. It’s now 6th March.